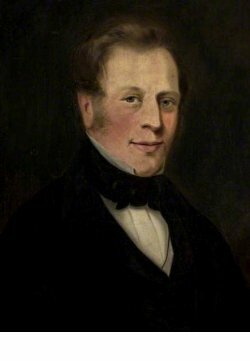 Thomas Dampier was born in Kingsdon to the north of Yeovil in 1801, the son of Thomas Dampier. He became a wealthy glove manufacturer with a factory in Reckleford which was probably located on the site where Dampier Street lies today. That he was a man of means is shown by his loan of £525 (about £400,000 at today's value) to the churchwardens of St John's in 1826 for the purchase of land required to extend the churchyard on its north side. Thomas was known to be in a partnership with builder and brick maker Charles Vining as glove manufacturers, Vining presumably being a sleeping partner. The partnership was dissolved in July 1836. In the 1841 census Thomas was listed as living in Reckleford with his 30-year-old wife Elizabeth née Bide, their three-year-old daughter Elizabeth and a female servant. Thomas listed his occupation as glove manufacturer. His wife Elizabeth (1807-1881) was the sister of William Bide. 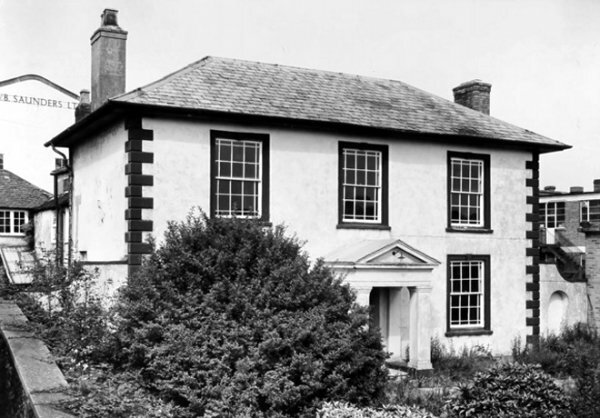 The 1846 Tithe Apportionment noted that Thomas was the tenant of Reckleford House (Parcel 543) owned by William Whitby. The 1846 Tithe Apportionment showed that Thomas owned a house, garden and orchard, (which, from its Parcel number 69 would have been in today's Market Street) which was occupied by William Bide. He was also recorded as owning a field called Lower Hathermead, of some 3 acres, and a field called Barehills, also of some 3 acres, both of which were occupied by Edward Wills Jnr. He also occupied the pasture field called Milford (Parcel 1014) which was owned by Yeovil Charity School. He was included in the 1827 Jury List as Thomas Dampier, glover of Hendford, and was similarly listed in Pigot's Directory of 1830. Between 1832 and 1841 he was included in the Voters List by virtue of owning a freehold house in Reckleford. According to William Bide's ledger, Thomas rented a yard from Bide from 1836 until 1850. Thomas was a member of the Vestry and attended Vestry meetings regularly between 1836 and 1854 and although he had been one of the objectors, in 1831, to rates levied by the Commissioners, Thomas Dampier was asked to become a Town Commissioner in 1837. However he took very little interest in local politics. 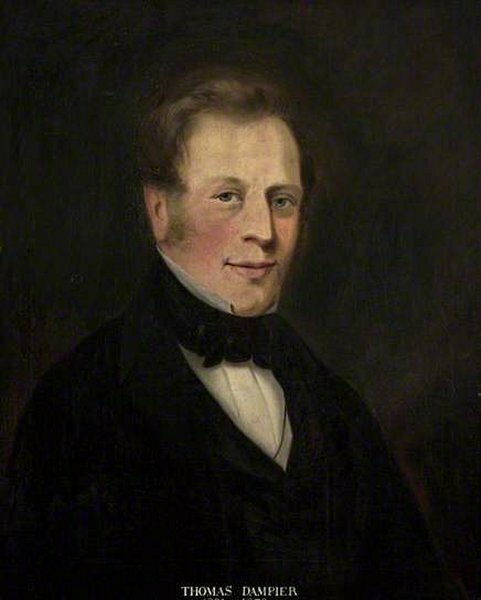 He was elected to the new Town Council in 1854, but again showed very little interest and, in fact, only attended a few meetings of the Council. He was a Churchwarden at St John's in 1855, 1856 and 1857. In the 1851 census Thomas, by now aged 50, listed his occupation as retired glove manufacturer. He and Elizabeth were still living in Reckleford with their daughters Elizabeth and Mary, son Thomas William and a housemaid. In the 1861 census Thomas Dampier and his family plus two servants were living in Rotten Row (today's Market Street) next to its junction with Reckleford. However this was almost certainly still Reckleford House. Interestingly Thomas gave his occupation as 'Land Holder' which presumably referred to the fields described above. In the 1871 census Thomas Dampier and his family were listed for the first time in Back Kingston (today's Higher Kingston) albeit immediately adjoining Reckleford Hill. Nevertheless Thomas Dampier was resident at Kingston Manor House prior to his death, which he purchased from William Jones Prowse, and his family continued to live there. In the 1871 census Thomas described his occupation as 'Gentlemen Landowner' as did his son 26-year-old Thomas, by now having changed his name to Thomas Dampier-Bide. Thomas Dampier died 20 May 1876 at 3 Princes Street, St George Hanover Square, London and his will was proved at Taunton by his widow Elizabeth in June. His effects were 'under £5,000' (somewhere less than £2 million at today's value). An inscription on a small alms dish in St John's church reads "In loving memory of Thomas Dampier who died 20 May 1876 aged 75 years, and of Elizabeth his wife, who died 7 April 1881 aged 73 years. Presented with the three companion plates to St John's church, Yeovil, by their children, Elizabeth Bide Dampier, Mary Ann W Wetham, Thomas William Dampier-Bide. Christmas 1881." 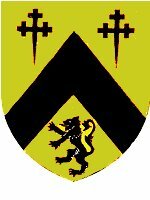 The arms of the Dampier family are or, a chevron between, in chief, two cross crosslets fitchée and, in base, a lion rampant, sable (on a golden ground, a black chevron with two black crosses with pointed lower ends above and a black standing lion). Thomas Dampier (1801-1876). Oil on canvas. 73 x 60cm. 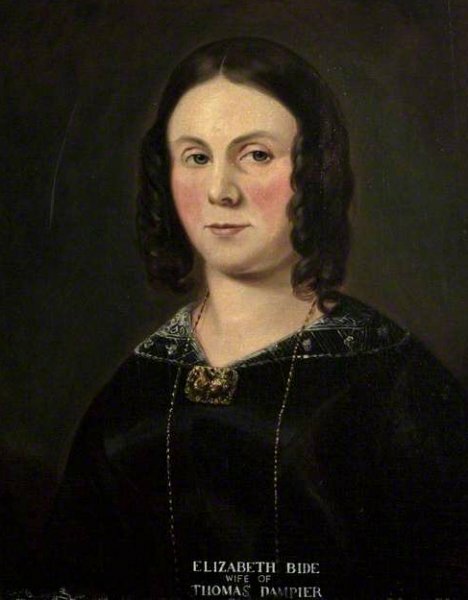 Elizabeth Bide (1807-1881), the daughter of William Bide and wife of Thomas Dampier. Oil on canvas, 72 x 59.7cm.